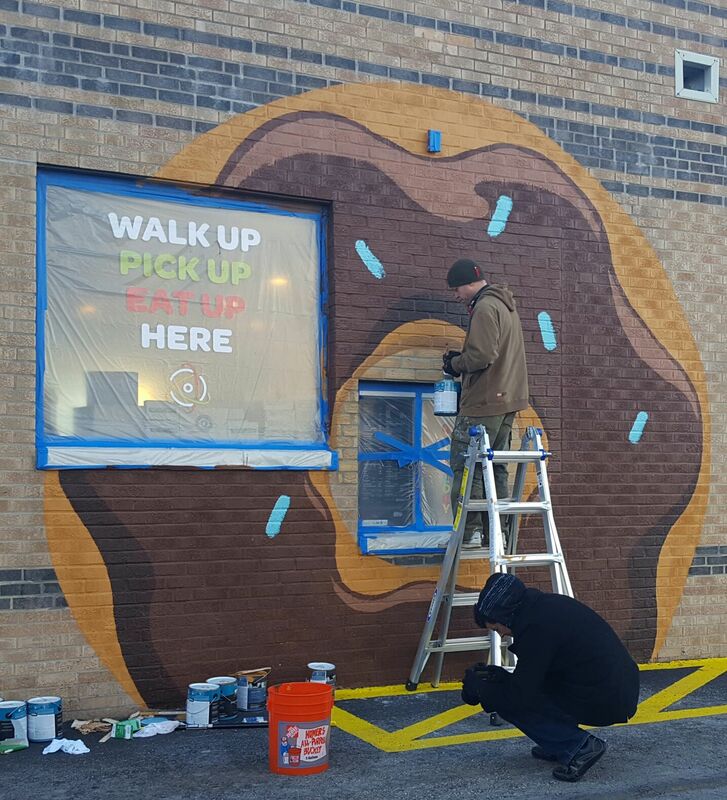 Donuts "Shake" up Kansas City! 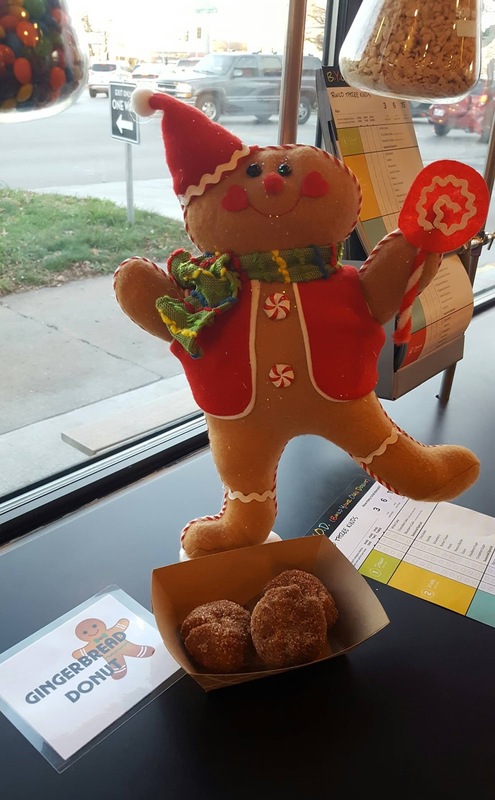 It's Christmastime at Donutology and you know what that means...oh, you don’t? 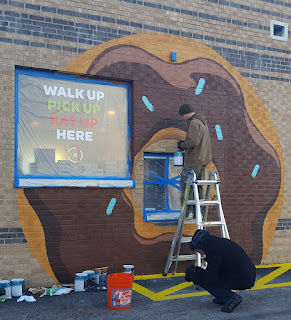 Donut Shakes, of course and I'm sure they will quickly become a KC winter tradition based on how they taste. Owner Andrew Cameron believes people crave ice cream in cold weather months as a type of comfort or throwback to hibernation, but whatever the reason, you can pick up one of two perfect combinations of ice cream and mini donuts now Donutology in Westport. 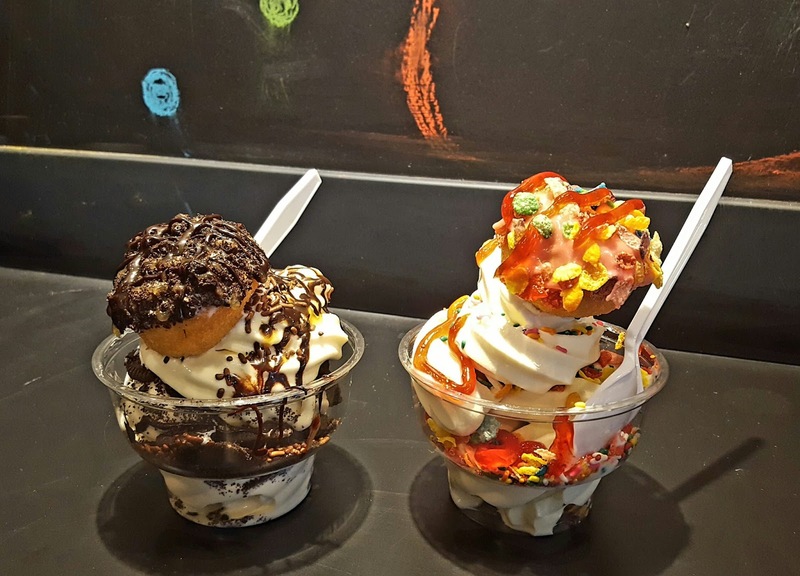 The second combination is the Donut Sundae! Both concoctions use local Belfonte vanilla soft ice cream, with Ghiradelli chocolate syrup used to make a chocolate version of the shake, blended before your eyes and mixed with just the right amount of crumbled donut to achieve a consistency I didn’t know whether to drink or chew, but in the end it didn’t matter, because YUM! 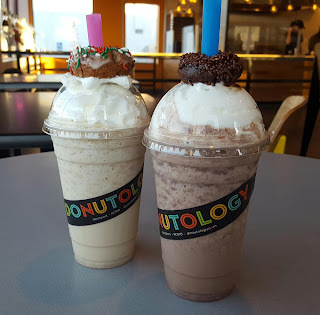 The shakes are $5.75 for plain vanilla or chocolate, including whipped cream and a mini donut on top, but another $1.50 let’s you add one of your own individually created mini donuts to add a little more flavor and since experimenting is what Donutology is all about, I suggest springing for the extra toppings or the seasonal special, which is Gingerbread right now (the molasses crunch coating is the key). 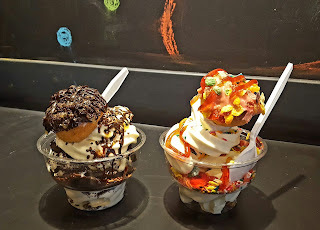 Donut Sundaes are $6. 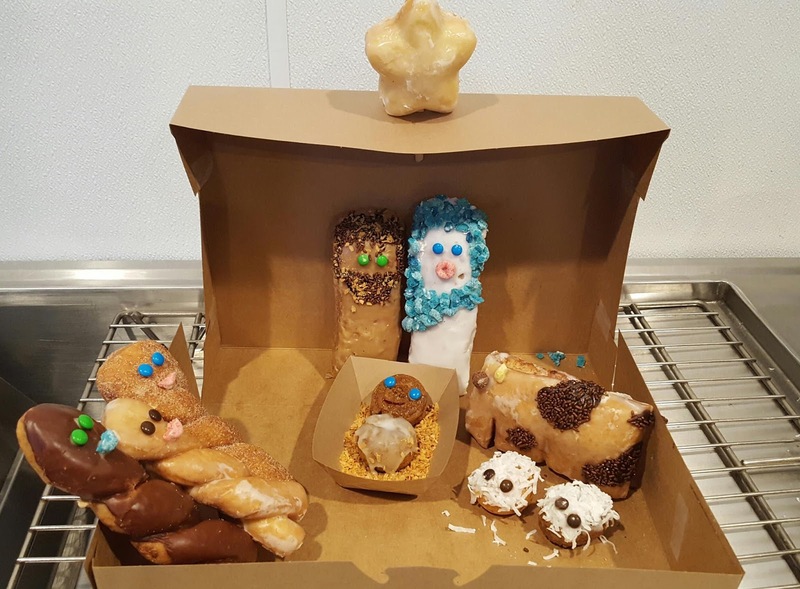 And today in gratuitous images, if you visit during this holiday season, you might be rewarded with a viewing of this Donutology Donutivity scene specially made by Donuticians Mira and Stephen (with a “ph”).